His Majesty’s Theatre in Perths CBD is an iconic West Australian heritage building. When it opened in 1904 it was actually Australia's largest theatre, seating over 2,500 people. Furniture Options recently assisted in updating their street front furniture. One of the main issues is the uneven brick paving along Hay and King Street. 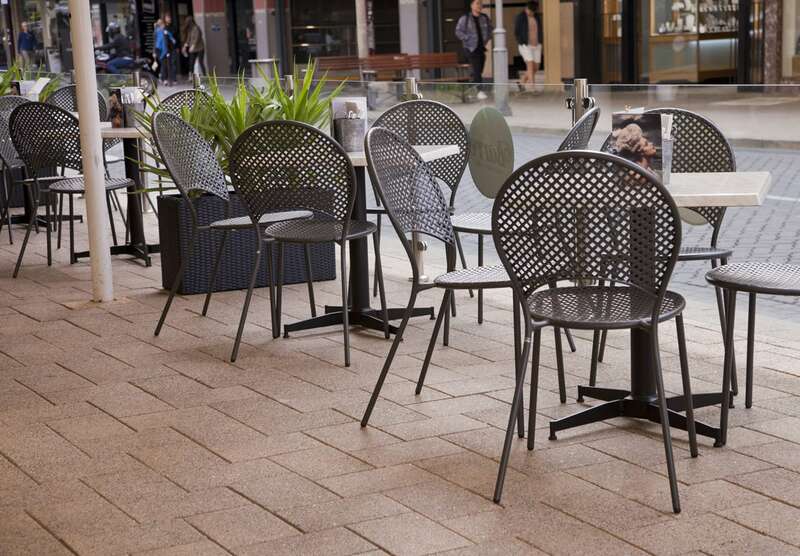 The Parkway No-Rock Table Base was the prefer solution to ensure customers enjoyed their visit and the staff don’t need to waste time worrying and fixing wobbly tables.